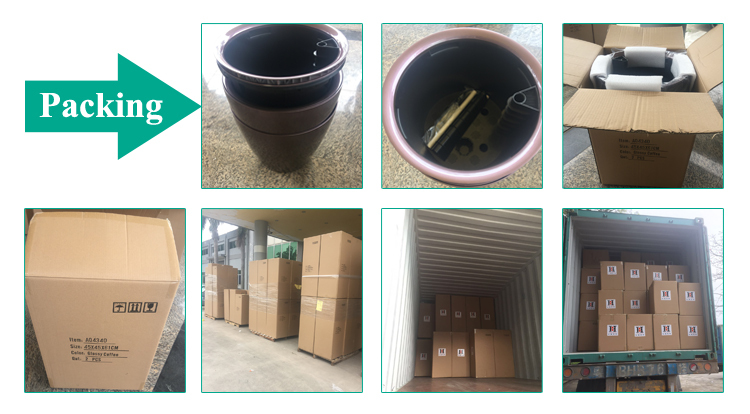 This item is of high strength, thus suitable for medium- and large-size plants in different occasions, like hotels, restaurants etc. Its high gloss surface makes it looks exquisite. 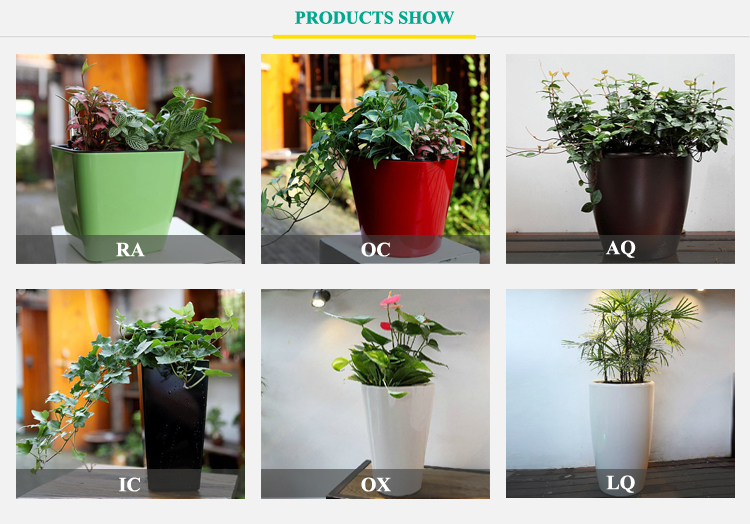 Built-in self-watering system can water plants automatically when needed. It is composed of two layers, one as planting field, the other for water storage. 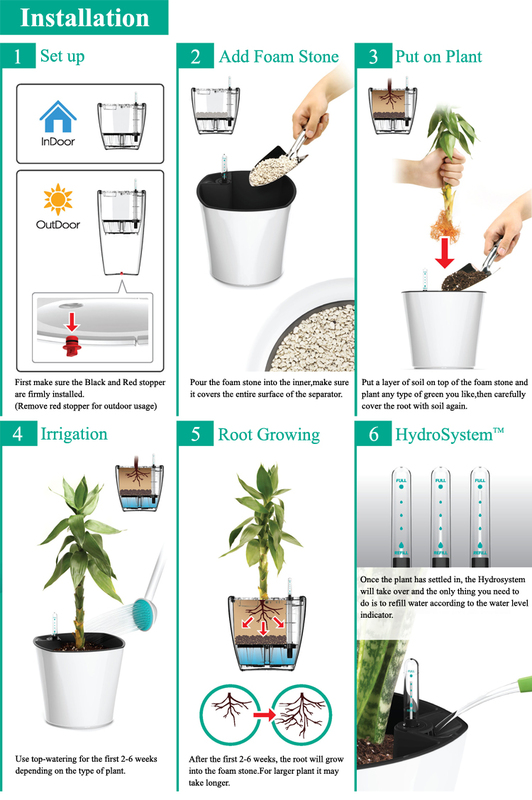 The system not only offers sufficient water for plants, but also simulates natural underground water source which makes plants likely grow in nature. 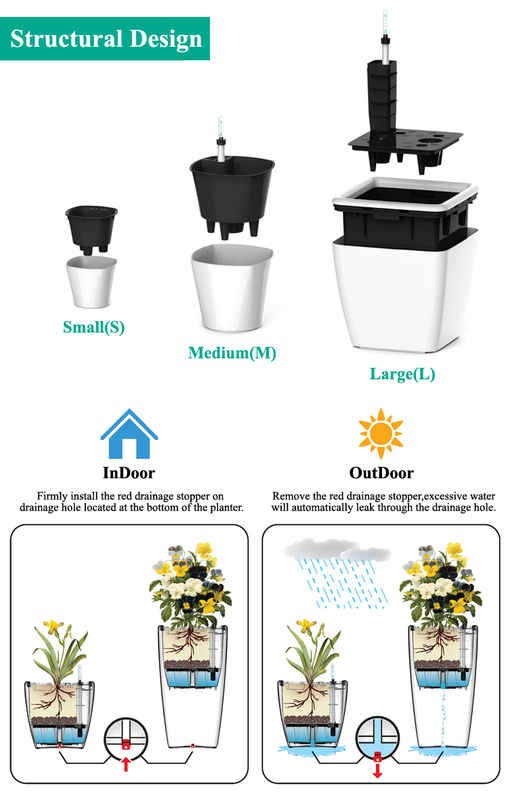 1) Hidden inner design can prevent water evaporation and keep good sanitaion.also,you can refresh your planter conveniently. 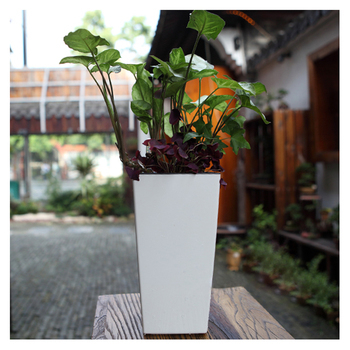 2) Green Sun Planter's Body Inner are made with Heat resisting ABS and high density Anti UP PP. Planter's sub-irrigation system ensures optimal water supply. Go up to 12 weeks between watering. The water level indicator takes the guesswork out of watering. 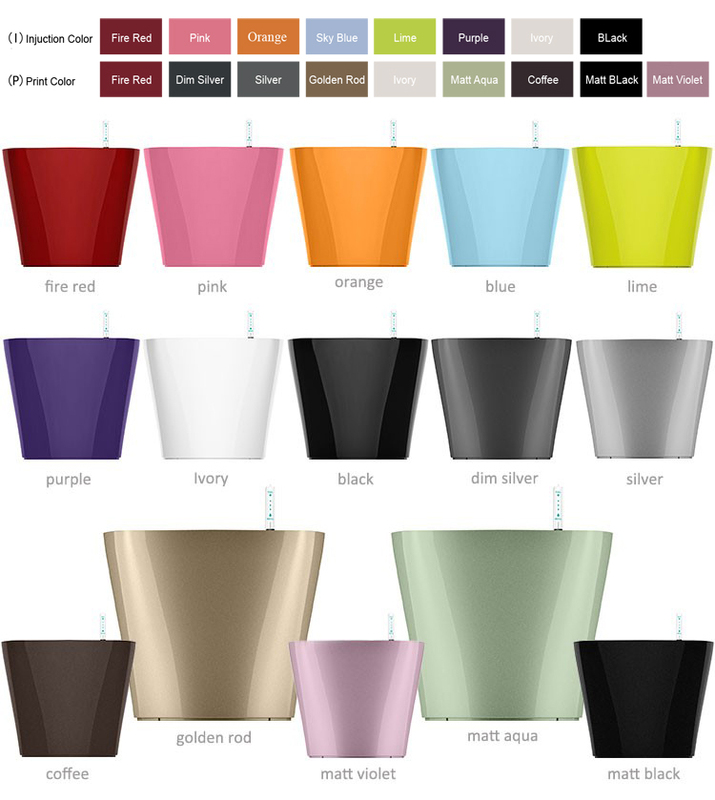 Never again worry about over-watering. 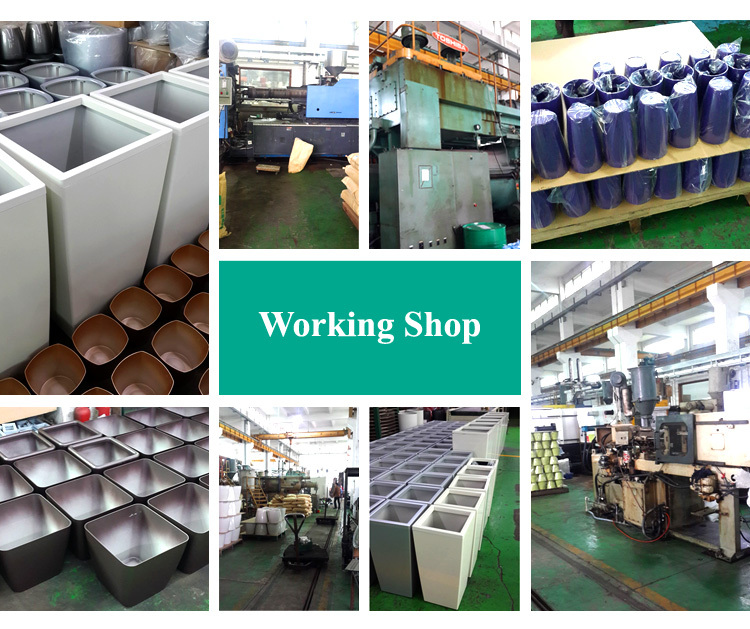 All kinds houseware items include Watering can, Galvanized metal bucket, Flower pot, Mail box, Ice Buckets, Trash Bin, Servicing Tray, BBQ Bucket, StorageBin ect.